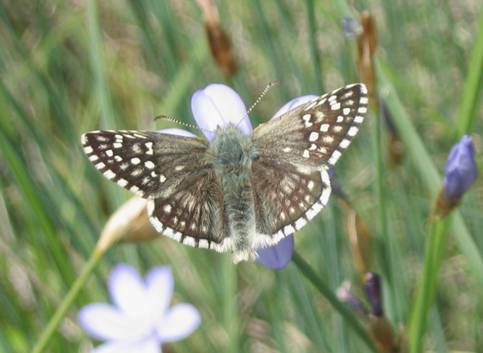 24/05/05 Var (83), underside of insect above. 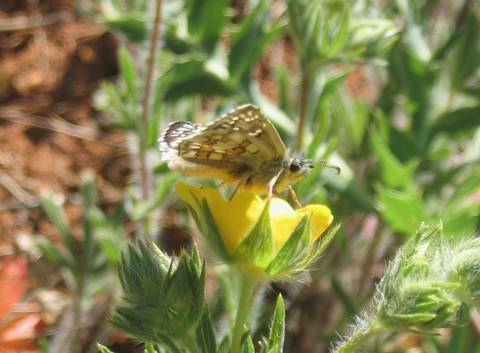 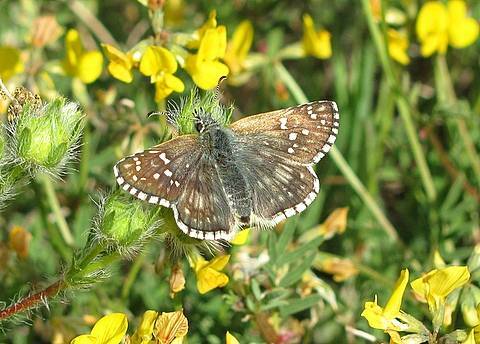 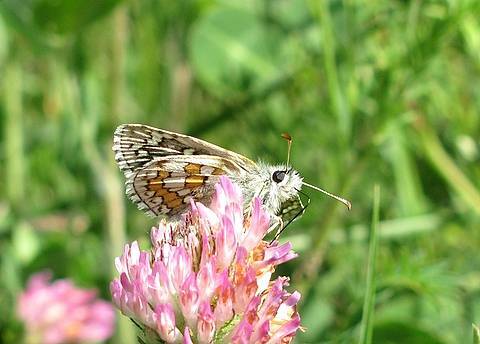 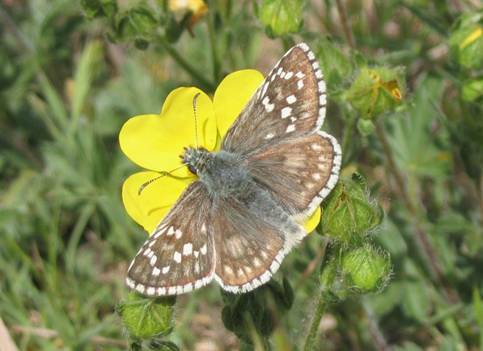 The Yellow-banded Skipper is found sparingly across southern Europe and reaches its western limit of distribution in Provence. 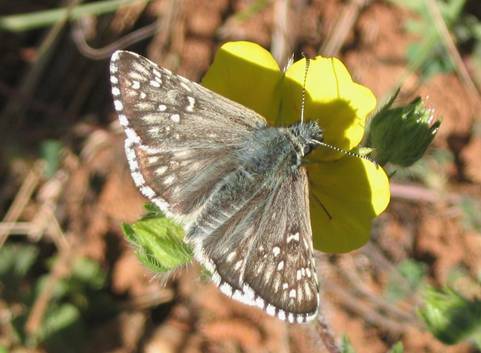 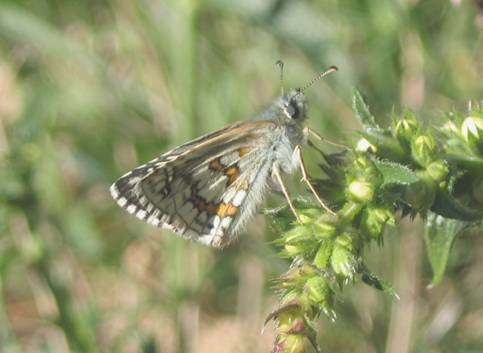 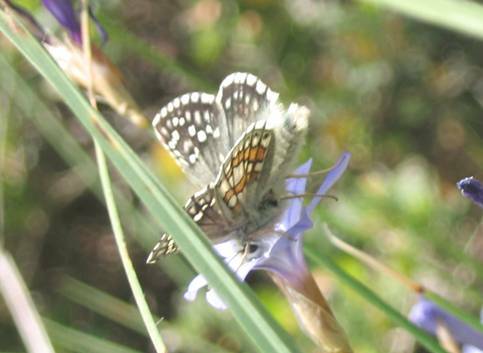 It is reasonably large for the Pyrgus genus and, unlike other members of this difficult group, it is instantly recognisable from the two striking yellow bands on the underside of the hindwing. 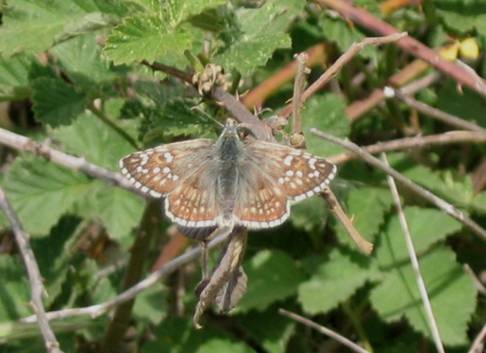 We found several individuals on a couple of occasions flying in the Var and most of these were also recognisable from the pattern on the upperside of the hindwing which was regularly 'fanned out' into a series of double-pointed exclamation marks. 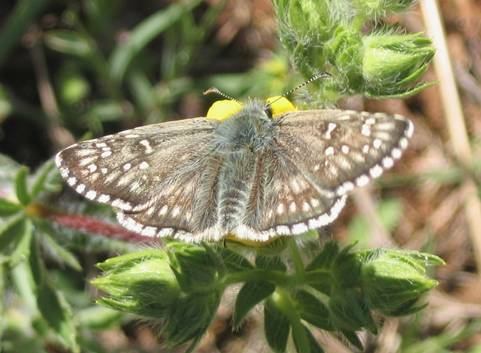 Equally the butterflies seem to prefer taking nectar from the larval foodplant Potentilla hirta which helps in locating them.